consider how these aspects may influence your ''decisions''. Your past behaviour will affect how you behave in the future? It most likely will unless you can appreciate why you behave in such a way. Have you noticed the bloke in the bookies who only bets on the favourite? Every time it's a favourite. He may try and mix it up a little with a cross the card double (but it's still two favourites). But why? We like to stay true to ourselves and so we follow a personal commitment to do just that. Take a read of our post: I followed That Horse Off A Cliff. Boy, you will be waiting a long time for Uncle Harold to take out his mat and do some break dancing. Back an outsider? Fu*k Off!!!!! But what else? 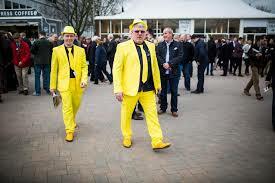 Do you follow a tipster even though he has been in terrible form of late because he had a good winner last year. I owe him. Or your mate took your advice last week and he's really keen on this horse and would you believe it's in the same race as mine. That reciprocity can turn your mind. But so too can your ''decision'' never to trust anyone's advice but your own (talking to myself here). However, this doesn't mean your thinking is faulty, irrational or bad. It's simply that our conscious mind cannot cope with all the data it tries to process. Our unconscious mind has evolved to do the job. For the most part it does it well. It's not a tyrant trying to teach us a lesson for being a naughty child. It trusts it makes a decision in our interests. That's the ''gut feeling''. Probably the best way to appreciating how we make decisions is to keep a diary. Not so much about our selection or bets but how we got to that point. This is much more difficult than it sounds but it can be revealing especially if you notice a pattern of behaviour keeps cropping up. What do you think, Sigmund?